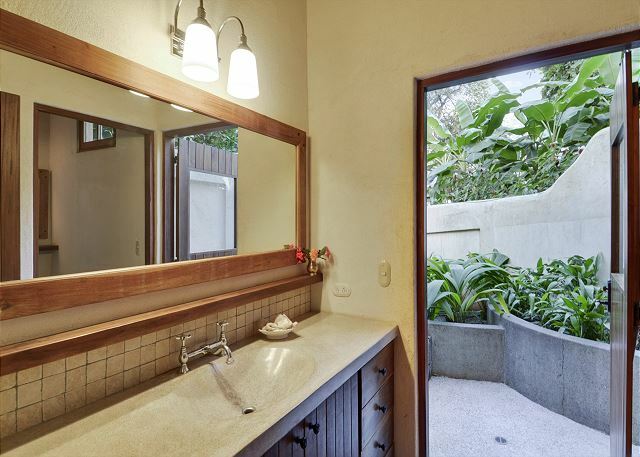 Located at the south end of Tamarindo Bay, Hacienda del Pacifico is one of the few vacation rental homes in Tamarindo that has direct beach access from the front door. 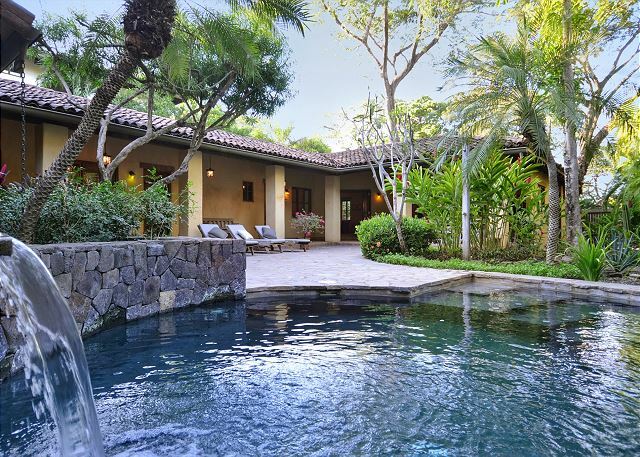 The segment of Tamarindo beach in front of Hacienda del Pacifico offers excellent swimming and surfing at higher tides, and is perfect for beach walking and exploring volcanic rock tide pools at lower tides. 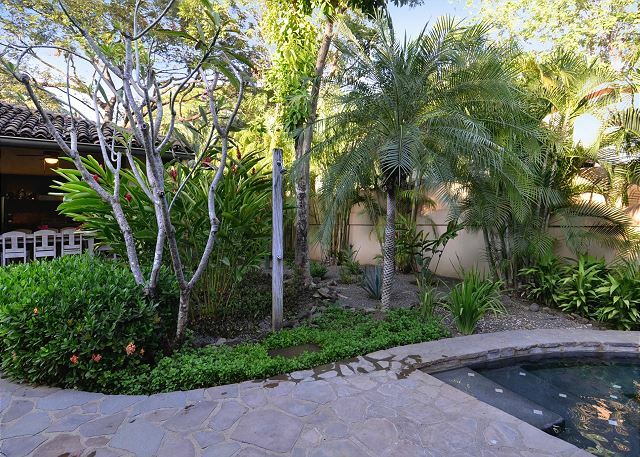 A short walk to the south around the point displays the best sunset view in Tamarindo. 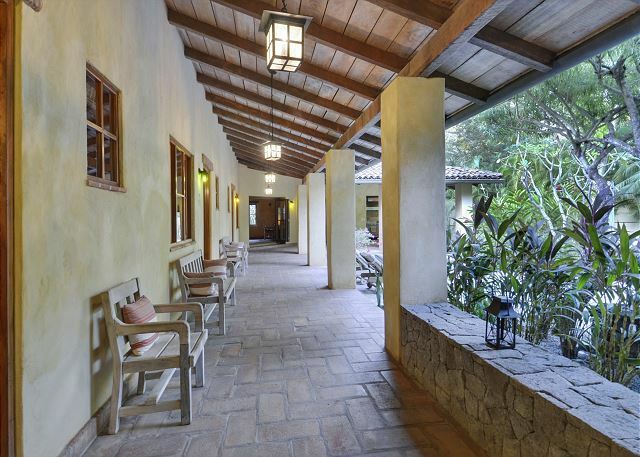 Hacienda del Pacifico is not another ordinary home. 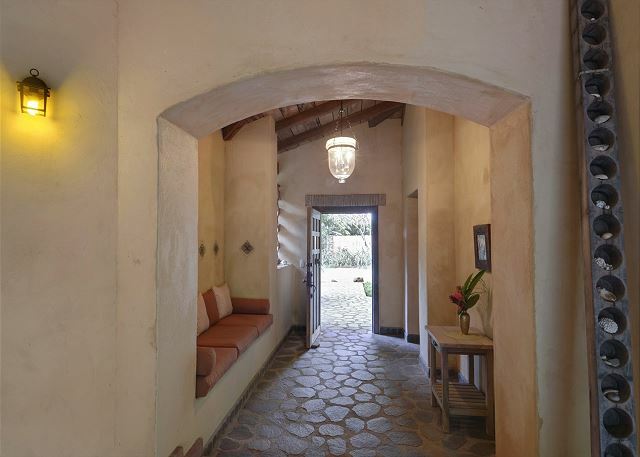 This unique vacation villa is laid out along an open air 'gallery' walkway that connects all the areas of the home around a central terrace area with swimming pool, patio and garden. 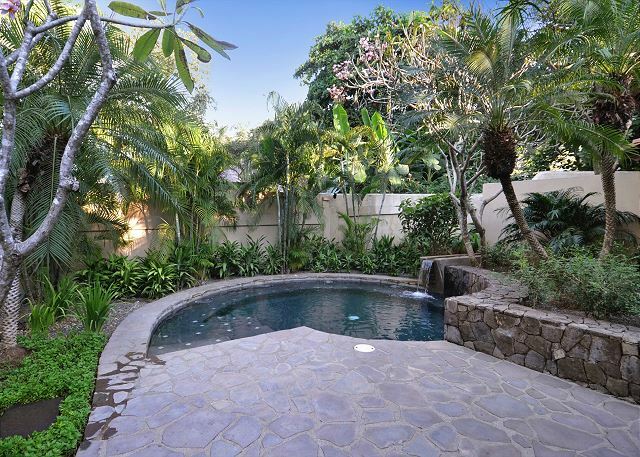 The pool imitates a free-form lagoon with waterfall, adding to the natural tropical ambiance of the garden. 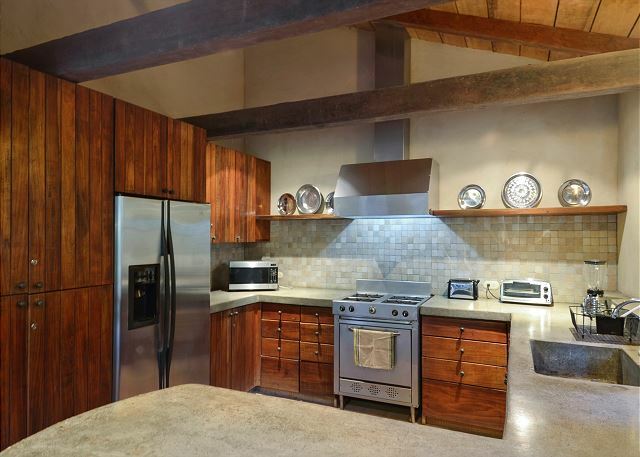 The home’s kitchen is fully equipped and is open to the patio and dining area. 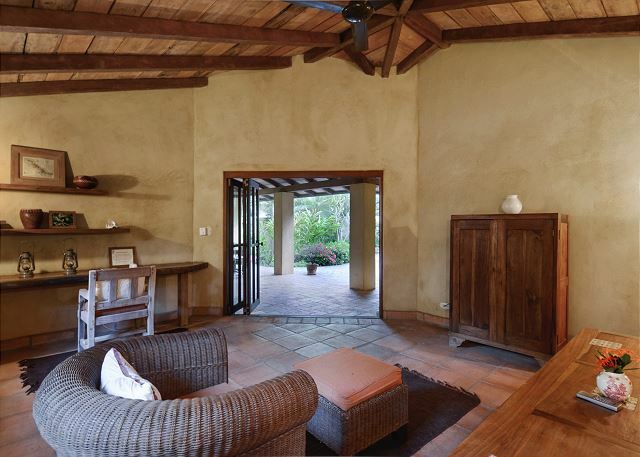 No other home offers the unique indoor/outdoor living opportunities in the integral way that Hacienda del Pacifico does. Our tropical climate is perfect for this relaxed style of vacation. 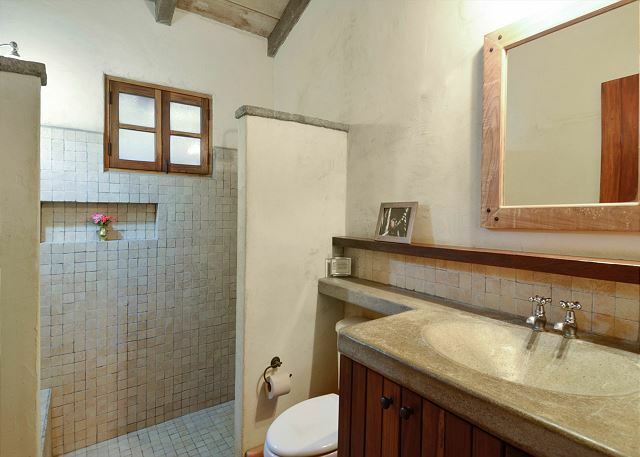 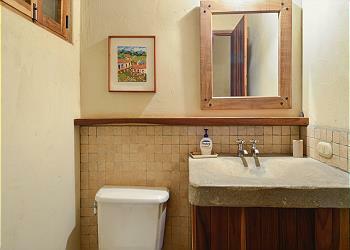 There are 4 bedrooms at Hacienda del Pacifico, all with their own bathroom. 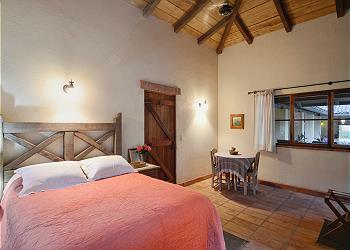 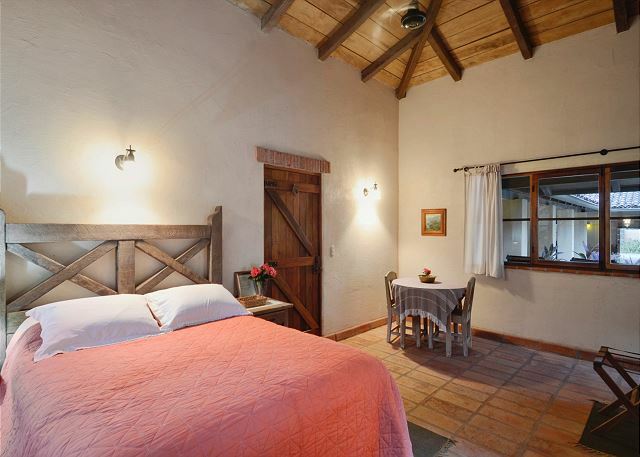 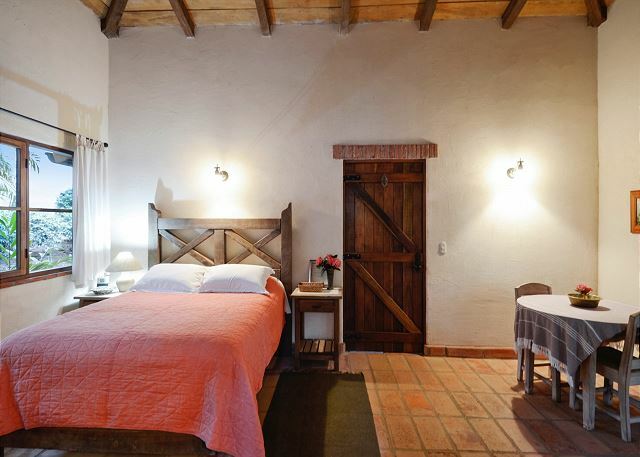 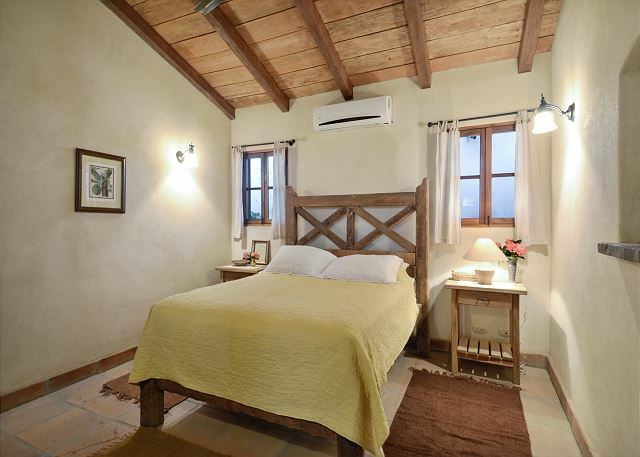 The master suite is a separate 'casita' with a living room area, full bathroom and a delightful open-air shower. 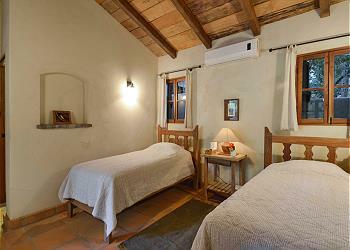 Each bedroom is provided with a small safe for your valuables. 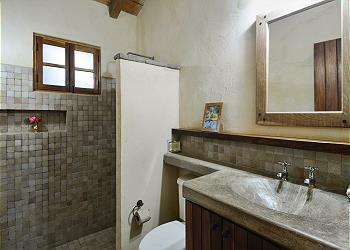 The center of Tamarindo is a 10 minute walk along the sandy beach. 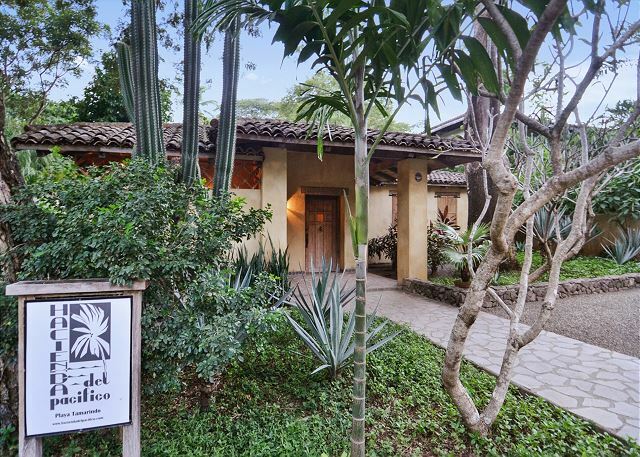 Tamarindo’s acclaimed Capitan Suizo is your neighbor at Hacienda del Pacifico. 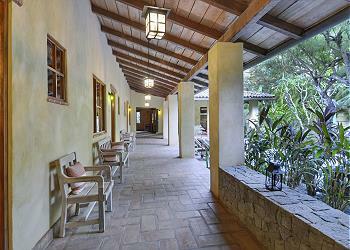 At the hotel, enjoy delicious food and bi-weekly beach barbeques with traditional Costa Rican music. 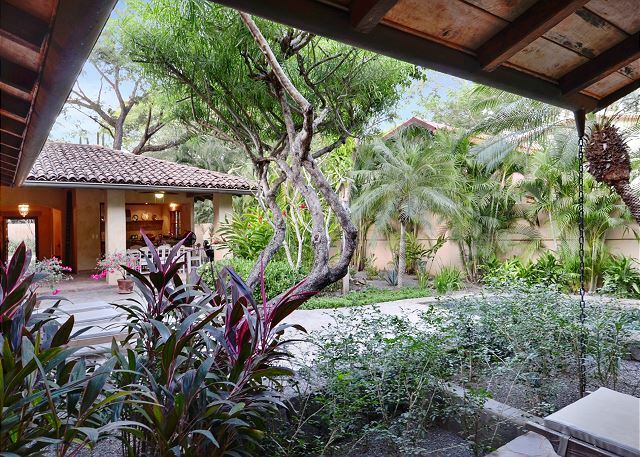 Complimentary fresh fruit, coffee, and beverages will be in the house upon your arrival at Hacienda del Pacifico. 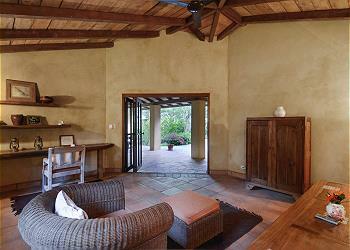 We have just returned home from a fantastic stay in Hacienda Del Pacifico. 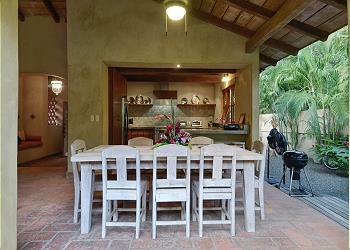 We highly recommend the property for either a couple of a families, or even a group of friends. 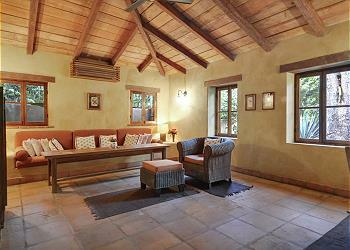 There is lots of space, aircon in all rooms, TV (for the one 1 day rainy day we had! ), a fully equipped kitchen, and the most beautiful little plunge pool. 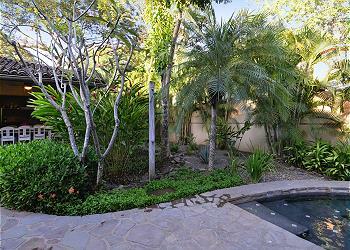 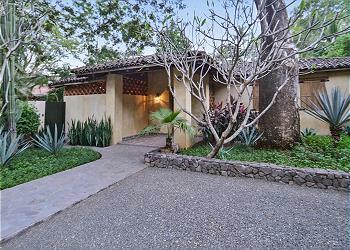 The property is really pretty and had a very boutique feel compared to a lot of the other places in Tamarindo. 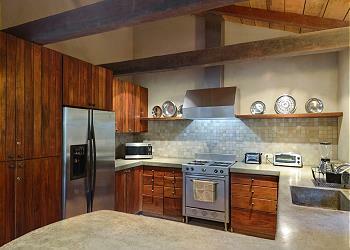 We particularly enjoyed the insideout lifestyle and loved the kitchen being open to the garden. 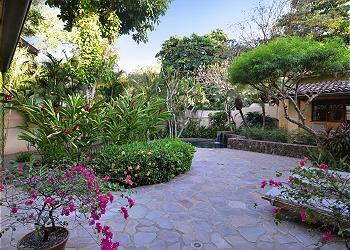 The garden was actually a lovely surprise and was extremely private being the perfect place for reading and relaxing. 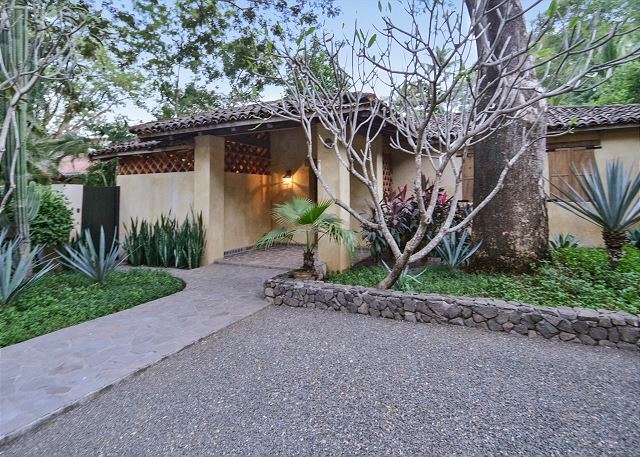 The Hacienda is at the quieter end of Tamarindo beach, and we loved our walks along the beach in the early morning before the heat of the day started. Thank you to the hosts, and we would love to visit again another year. 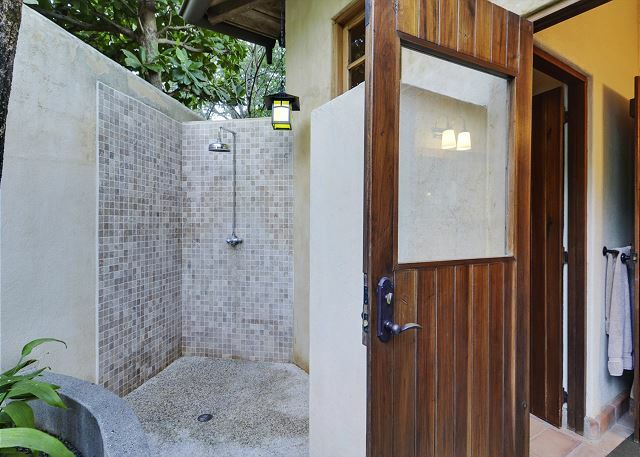 Hi Julia, Thank you for your awesome review. We are thrilled to know you had a fantastic stay in Hacienda del Pacifico and were able to enjoy all the house amenities. It is true the Hacienda is perfect for families and/or friends, being so open, big and spacious and with that wonderful outside garden/pool area! 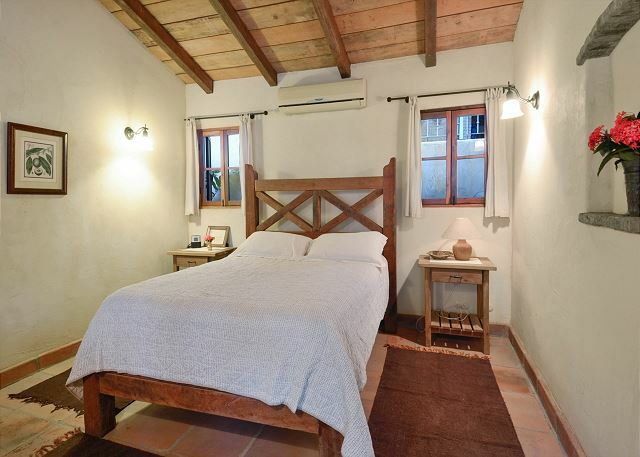 It's great to know everything went perfect with your vacation and we look forward to welcoming you back for another round very soon!